Companies are distancing themselves from Sean Hannity’s Fox News program in response to his ongoing public support for reported child predator and Alabama Senate candidate Roy Moore. On November 9, The Washington Post published an extensive investigative report, compiled with more than 30 sources, with accounts from four women who said Moore had engaged in inappropriate sexual behavior toward them when they were teenagers. One woman, Leigh Corfman, was just 14 years old when 32-year-old Moore sexually assaulted her, she said. In the days following the Post’s report, Hannity used his radio and television platforms to offer several inexplicable defenses of Moore, insinuating repeatedly that the women are lying and hosting others who did the same. He even hosted Moore on his radio show the day after the Post report came out. In recent days, several companies have announced they were either removing ads from Sean Hannity’s Fox News program or that they would not advertise on his show in the future. 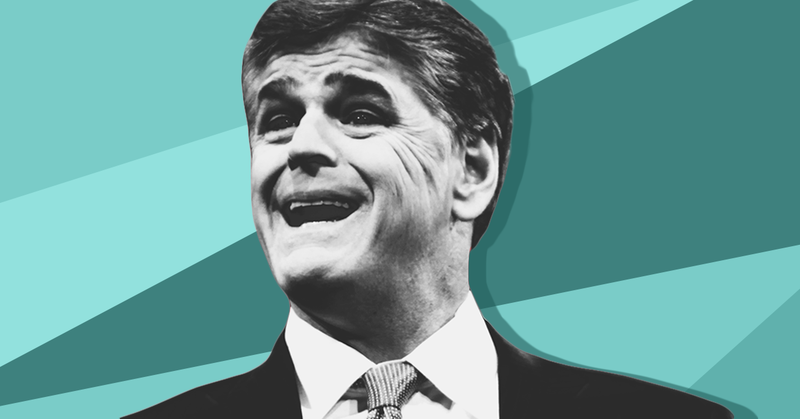 In August, Media Matters called on Hannity’s advertisers to stop financially supporting his lies and extremism and warned that Hannity’s volatility made him a business risk. Among those companies was realtor.com, a real estate search engine site. As Hannity began encouraging a counter effort against companies that said they would no longer advertise on his show, realtor.com deleted its Twitter announcement and published a statement saying the company would "continue to place ads across a broad range of networks, including Fox News and its top shows." Realtor.com is “operated by News Corp subsidiary Move, Inc.” under a license from the National Association of Realtors. In other words, Rupert Murdoch’s News Corp. which manages the operations of realtor.com, has decided to continue advertising on a program airing on Fox News, part of Rupert Murdoch’s 21st Century Fox. Media Matters for America issued a follow-up memo to the U.K.’s chief competitions watchdog, Competition and Markets Authority (CMA), outlining further evidence that a full 21st Century Fox takeover of Sky PLC would portend trouble for the British media landscape. It also called on the CMA to approach Sky’s warning about shutting down Sky News with skepticism. The submission follows an October 27 CMA hearing at which Media Matters President Angelo Carusone testified alongside other media experts and advocates. Prior to the hearing, Media Matters submitted a report to the CMA detailing concerns with the merger. As exemplified in Fox News’ culture of sexual harassment and racial discrimination, there is an identifiable link between 21st Century Fox’s poor corporate governance and what is broadcast on the news outlets it owns. Recent Russia-related coverage and commentary on Fox News and in The Wall Street Journal signify that the Murdochs and their news outlets continue to meddle in politics in damaging ways. Regulators should be acutely aware that the line separating opinion and news programming at Fox News is nonexistent. The hiring of former White House national security aide Sebastian Gorka to a news position and a recent report from British broadcasting regulator Ofcom ruling that individual segments on Tucker Carlson Tonight and Hannity were in violation of broadcasting standards reinforce this fact. There are many more segments on Fox News programs from the last year that should be taken into consideration to assess 21st Century Fox’s commitment to broadcasting standards. Sky’s warning that Sky News could close if 21st Century Fox’s bid is not approved is suspect at best. No evidence has been presented showing that Sky News’ closure was being planned before 21st Century Fox’s proposed acquisition. The CMA should also consider that aside from Sky News, 21st Century Fox post-merger would have access to -- and potentially take financial and political advantage of -- information about consumers by way of internet service. Media Matters has actively opposed 21st Century Fox’s proposed takeover of Sky PLC since it was first announced. On March 30, Media Matters submitted, in partnership with global activism group Avaaz, a report to Ofcom that detailed the risks the Murdochs' desired takeover of Sky pose to British broadcasting standards. Media Matters and Avaaz had previously submitted a report to Karen Bradley, U.K.’s secretary of state for digital, culture, media and sport, demonstrating that the risk of “Foxification” of Britain’s public debate is too great for Bradley to simply rubber-stamp a Murdoch takeover of Sky. Rupert Murdoch abandoned a previous bid for full ownership of the company in light of an investigation into a mass phone hacking scandal at his U.K.-based newspapers. Following an investigation, a parliamentary report found that Murdoch was “not a fit person” to run a major corporation and that his son James had showed “wilful ignorance” of the industrial-scale hacking. A CNN report discussed Media Matters President Angelo Carusone’s recent testimony to the U.K.’s chief competitions watchdog, the Competition and Markets Authority (CMA), against 21st Century Fox’s bid to take over satellite broadcasting company Sky plc, which oversees Sky News. The CMA invited Carusone along with Media Matters’ U.K. partners to testify last week as part of its investigation into 21st Century Fox’s bid, citing Media Matters as “a relevant third party.” On October 24, Media Matters had submitted a report to the CMA illustrating the havoc 21st Century Fox would wreak on the British media landscape if its bid is approved. Carusone told CNN that he hammered 21st Century Fox on several fronts during the hearing. He cited examples of Fox News publishing inaccurate information as a problem. He also said he told the regulators it's troubling that Fox has commentators who have a direct interest in the matter they speak about, but do not acknowledge the conflict of interest, and said he brought up what he says are Fox's blurred lines between what is news and what is commentary on air. Carusone said he also testified about issues of corporate governance at Fox and 21st Century Fox, and brought up an instance in which he said Fox News tried to obtain the phone records of one of their staffers who was reporting on the network. The incident, Carusone said, is reminiscent of another Murdoch company's phone hacking scandal in which News of the World staffers were accused of hacking the phones of celebrities, including those in the Royal Family. Fox News has denied it sought the phone records of the Media Matters staffer. "[The company] can be influential in terms of going after and attacking and they also can be retaliatory," Carusone said. Media Matters has actively opposed 21st Century Fox’s proposed takeover of Sky plc since it was first announced. On March 30, Media Matters submitted, in partnership with Avaaz, a report to Ofcom that detailed the risks the Murdochs' desired takeover of Sky poses to British broadcasting standards. Media Matters and Avaaz had previously submitted a report to Karen Bradley, U.K.’s secretary of state for digital, culture, media and sport, demonstrating that the risk of “Foxification” of Britain’s public debate is too great for Bradley to simply rubber-stamp a Murdoch takeover of Sky. Media Matters for America submitted a report to the United Kingdom’s chief competitions watchdog illustrating the havoc that 21st Century Fox and the owners, the Murdochs, would wreak on the British media landscape if their bid to take over Sky PLC is approved. The report was submitted amid revelations that Rupert Murdoch, his sons, and 21st Century Fox attempted to suppress another wave of public scrutiny around Fox News’ sexual harassment epidemic in January of this year. Dealing a blow to the Murdochs’ hope for a swift approval, U.K. Culture Secretary Karen Bradley referred 21st Century Fox’s bid to the Competition and Markets Authority (CMA) for investigation on grounds of both broadcasting standards and media plurality. This followed an investigation by the U.K.’s chief broadcasting regulator, Ofcom, and calls for further investigation by members of Parliament and advocacy groups. Marking the second phase of an in-depth investigation, the CMA announced on October 10 that it would conduct a thorough look into the impact of a Fox-Sky merger on broadcasting codes and media plurality. 21st Century Fox is not serious about changing the overall culture at Fox News even in the wake of sexual harassment allegations made public. The company’s attempted cover-up of sexual harassment allegations against then-host Bill O’Reilly in January is the latest window into this reality. Beyond Fox News, there has been a long-standing pattern of harassment and discrimination in other Murdoch-owned media outlets that cannot be ignored. British regulators should not fall for claims that specific Fox News programs -- like Fox & Friends and Hannity -- should be exempt from British broadcasting standards because they are “non-news” programs. The line separating opinion and news programming at the network at-large is a convenient fiction that viewers are unaware of and showrunners ignore. This was recently evidenced in the fabrication and promotion of the FoxNews.com story about the murder of Democratic National Committee staffer Seth Rich. Fox News’ latest partisan political coverage and prime-time lineup, and conflicts of interests among hosts and contributors, raise questions about 21st Century Fox’s commitment to impartiality standards, as set out in British broadcasting code. 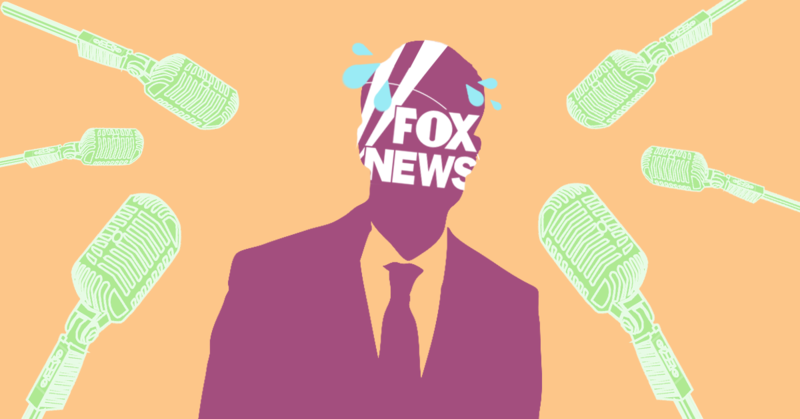 Fox News and other 21st Century Fox-owned broadcast outlets have demonstrated no improvement in reporting news with due accuracy and excluding offensive material across the network’s programs. In the report, Media Matters also recommended that the CMA request further information from 21st Century Fox about the status and findings of internal investigations regarding the now-retracted FoxNews.com Seth Rich story, workplace harassment and discrimination, and new compliance standards the Murdochs claimed to implement in May of this year. Media Matters has actively opposed 21st Century Fox’s takeover of Sky News since it was first announced. On March 30, Media Matters submitted, in partnership with global activism group Avaaz, a report to Ofcom that detailed the risks Murdochs' desired takeover of Sky poses to British broadcasting standards. Media Matters and Avaaz had previously submitted a report to Bradley demonstrating that the risk of “Foxification” of Britain’s public debate is too great for Bradley to simply rubber-stamp a Murdoch takeover of Sky. Rupert Murdoch abandoned a previous bid for full ownership in light of an investigation into a mass phone hacking scandal at his U.K.-based newspapers. Following an investigation, a parliamentary report found that Murdoch was “not a fit person” to run a major corporation and that his son James had showed “wilful ignorance” of the industrial-scale hacking. In September 2016, it was reported that Fox News had engaged in similar tactics, hacking the phone of a Media Matters reporter. We are cautiously optimistic that Secretary Bradley is starting to acknowledge that the Murdochs and 21st Century Fox (21C Fox) have failed to demonstrate a commitment to abiding by the U.K.’s broadcasting standards. 21C Fox's demonstrated culture of malfeasance and poor governance should have been more than sufficient to warrant outright rejection of 21C Fox’s bid to takeover Sky News without further investigation. One need not look too far to find near daily examples of 21C Fox’s rank political machinations and broken governance. For example, just recently 21C Fox’s CEO James Murdoch issued a public letter decrying white supremacy and intolerance and declared the necessity of combatting those forces. Yet, either because he is unwilling or unable, he has done nothing to address those very forces at Fox News, the network he runs. We urge Secretary Bradley, the CMA and all members of Parliament to continue to take serious the most recent developments at Fox News and 21C Fox that bring to light the Murdochs’ negligence in adhering to broadcasting standards and establishing strong compliance procedures and corporate governance systems. In August, Carusone wrote a letter to the British broadcasting regulator Ofcom sharing new evidence showing that 21st Century Fox and owner Rupert Murdoch’s family are not serious about complying with U.K. broadcasting standards should they be allowed to take over British satellite broadcaster Sky PLC. address several other prominent instances of Fox News misleading its audience and promoting state-run propaganda that flies in the face of the compliance standards 21st Century Fox established on May 15 in accordance with Ofcom's recommendations. Previously, Carusone and Media Matters had issued a letter to Ofcom on June 13. 21st Century Fox's latest exhibition of tacit support for politically motivated misinformation and Fox News' pattern of uncritically promoting state propaganda should be enough to determine that the Murdochs' bid is not worth approving. The letters from Carusone follow a March 30 report Media Matters submitted, in partnership with global activism group Avaaz, to Ofcom that detailed the risks Murdoch’s desired takeover of Sky poses to British broadcasting standards. Before that, Media Matters and Avaaz submitted a report to Bradley demonstrating that the risk of “Foxification” of Britain’s public debate is too great for Bradley to simply rubber-stamp a Murdoch takeover of Sky. On March 16, Bradley referred Murdoch's takeover bid to Ofcom for a thorough investigation regarding concerns about "media plurality and commitment to broadcasting standards." 21st Century Fox already owns 39.1 percent of Sky. Murdoch abandoned a previous bid for full ownership in light of an investigation into a mass phone hacking scandal at his U.K.-based newspapers. 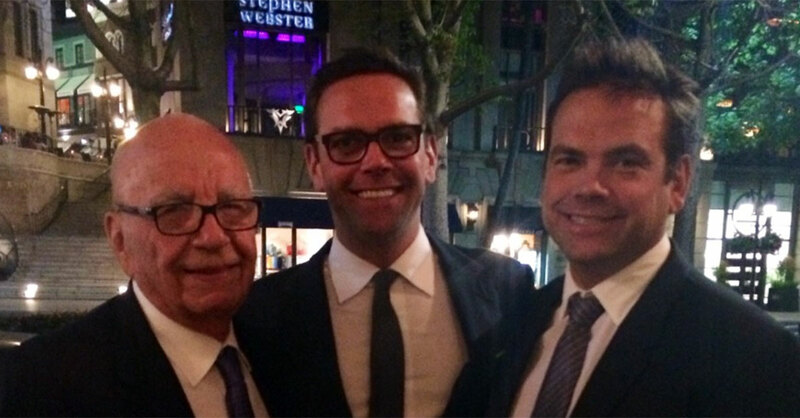 Following an investigation, a parliamentary report found that Murdoch was “not a fit person” to run a major corporation and that his son James (who at the time ran the parent company of News Of The World and The Sun; he is now the CEO of 21st Century Fox) showed “wilful ignorance” of the industrial-scale hacking. In September 2016, it was reported that Fox News had engaged in similar tactics, hacking the phone of a Media Matters reporter. The anti-establishment trolls have lost their biggest White House ally and are starting to go after Pence. Prepare for the right-wing media food fight. Blog ››› August 18, 2017 5:13 PM EDT ››› CRISTINA LóPEZ G.
Stephen Bannon is no longer the White House chief strategist. His departure, in addition to furthering the narrative of a Trump administration in constant chaos, is likely to become a source of acrimony between right-wing anti-establishment outlets and online trolls and those who remain in the Trump administration. Bannon’s departure has other possible impacts for the far-right media universe. 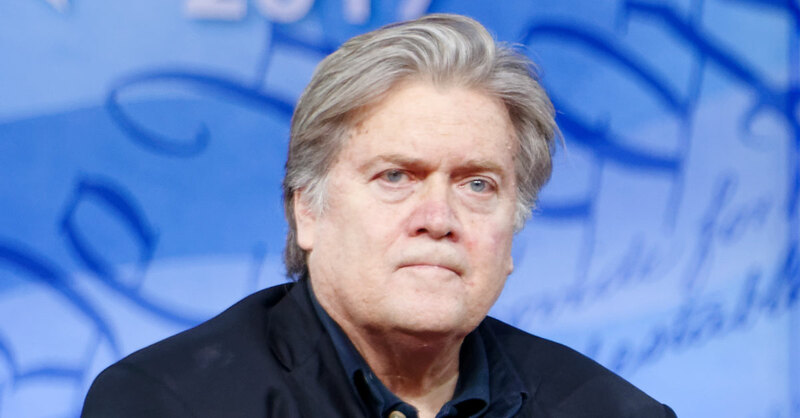 According to reports, Bannon might be returning to Breitbart, the Mercer-funded outlet he once claimed was “platform for the ‘alt-right,’” a term its current editors (much like former proud supporters of the movement) are trying to move away from. With Bannon in the White House, Breitbart behaved like any other pro-Trump outlet, showing little editorial independence and supporting Trump’s agenda (including his war on the press). But this support lasted as long as Trump’s agenda aligned with Bannon’s: Breitbart did not shy away from attacking Kushner, who is a White House senior adviser, to defend Bannon. With Bannon out, it seems like Breitbart will hold no punches in a war against a White House it now perceives as controlled by globalists. The right-wing media landscape is about to shift once more, putting the Bannon-loyalists, nationalist ideologues, and opportunistic trolls in a war against an establishment Republican Party faction they think is being led by Pence and, likely, Rupert Murdoch, chairman and CEO of Fox News and owner of the Wall Street Journal. It remains to be seen whether Trump and his White House will be caught in the middle. Another day, another report of workplace sexual harassment perpetrated by a 21st Century Fox employee. Horrifyingly, this will probably keep happening -- because Fox has proven time and again that it only takes measures to protect women when others are watching. Payne’s suspension was announced one year to the day after former Fox News personality Gretchen Carlson filed a lawsuit against former Fox chief Roger Ailes, who died in May, for serial sexual harassment. At least 25 women came forward to report similar harassment by Ailes in the aftermath of the Carlson lawsuit, citing incidents that spanned decades. Carlson’s lawsuit helped to expose a hostile work culture of silence and harassment at 21st Century Fox that has undoubtedly persisted since Ailes was forced out. In the year since Ailes resigned, Fox fired former host Bill O’Reilly (and paid him tens of millions on the way out) after news broke that five women had reported him for sexual harassment. On the same day that O’Reilly’s firing was announced, Fox News co-host Greg Gutfeld sexually harassed his fellow co-host Kimberly Guilfoyle on-air. Soon after, Ailes’ “right-hand man” Bill Shine was fired from his top executive spot at Fox amid reports that he had attempted to silence and retaliate against women who came forward to report harassment at the network. In March, former Fox News contributor Tamara Holder reached a legal settlement with 21st Century Fox after she reported sexual assault by Fox News Latino executive Francisco Cortes at company headquarters in 2015. The company subsequently fired Cortes. Just days ago, Fox Sports fired Jamie Horowitz, its head of sports programming, amid an investigation into sexual harassment reports. The common thread in this series of high-profile firings is that they were exactly that -- high-profile. Fox’s response to a systematic, decades-long workplace culture problem that transcends time, a single perpetrator, a single survivor, or any sort of isolating detail, has been to do the absolute bare minimum to make immediate criticism go away. 21st Century Fox has proven that it only cares about its women employees when the public -- or its bottom line -- forces the issue. It will continue to treat each report of workplace harassment as a singular incident, offering a response that categorically hinges on the number of bad headlines, threats of advertiser boycotts, dollar amounts of lawsuits, or persistence of public outcry a story has garnered. O’Reilly was fired amid an activist-driven advertiser boycott, as hundreds of sexual harassment survivors publicly asked Fox to do better. The network has fired Cortes and Horowitz and suspended Payne as it faces intense scrutiny from British regulators who are weighing whether to approve its bid to acquire the Sky PLC television company (and thus allow Fox to expand its toxic workplace culture). 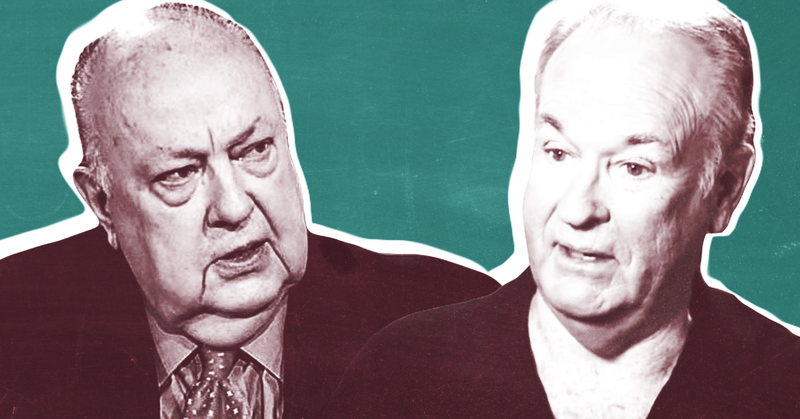 Shine was replaced by two longtime Fox executives from the Ailes era, one of whom, Suzanne Scott, was reportedly also involved in silencing, ignoring, and retaliating against women who reported harassment at the network. And it took Fox nearly a year to fire Shine, even after former Fox News personality Andrea Tantaros named him in a sexual harassment lawsuit last August; it took more pressure from advertisers and the public before Fox would start to hold Shine accountable. Paul, Weiss was also the law firm Fox retained in April to investigate at least one report of sexual harassment against O’Reilly. And Paul, Weiss is where Hughes went last month with her account of Payne’s misconduct -- around the same time Fox renewed Payne’s contract for multiple years. HuffPost reported the firm will lead another internal investigation into Hughes’ report. If past behavior is any indication, this investigation, too, will end with some public lip service until the news cycle passes, maybe a high-profile firing, and little concrete action to actually protect the women who work at Fox. Have executives and on-air personalities begun to treat women and people of color with more respect yet? The results are inconclusive. Here’s what is clear: Fox seems hellbent on only doing what is asked of them and nothing more. So don’t stop asking. UPDATE: The FCC has voted to reinstate the "UHF discount," which will "clear the way for Sinclair Broadcasting Group Inc. to purchase Tribune Media Co.," according to the Los Angeles Times. The Federal Communications Commission is expected to vote tomorrow to ease a media ownership rule that prevents greater consolidation of broadcast television stations. Two of the biggest expected beneficiaries of that decision will be Rupert Murdoch’s Fox Television Stations and the Sinclair Broadcasting Group, both key media allies of President Donald Trump. For more than 30 years, the FCC allowed station owners to count only 50 percent of the potential viewers in the markets where they owned stations that broadcast ultrahigh frequency (UHF) transmissions, rather than their entire potential audience. This “UHF discount” was granted because such transmissions had a more limited range at the time, but the transition to digital transmission eliminated this discrepancy, and in September 2016, the Obama-era FCC repealed that rule. That action, along with the prospect of deregulatory moves by the Republican-controlled FCC, have Wall Street analysts expecting consolidation among major station groups. Sinclair Broadcasting is reportedly eyeing Tribune Media, and other stations groups, like Nexstar, CBS Corp. and Fox Television Stations, seem to have found a sympathetic ear at the agency to their argument that the current regulations diminish investment. After Murdoch’s television and newspaper properties gave Trump overwhelmingly positive coverage during the presidential campaign, Trump reportedly asked Murdoch to submit a list of potential FCC chairman nominees during the transition. Murdoch’s media entities have been the president’s biggest cheerleaders over the first months of his administration, and garnered praise and access from Trump in return. Now that cheerleading is getting paid back with dollar signs. Through 21st Century Fox, Murdoch currently owns 28 television stations in 17 markets, including in New York, Los Angeles, Chicago, Dallas, San Francisco, Washington, D.C., Houston, Minneapolis, Phoenix, Orlando and Charlotte. His stations reach roughly 37 percent of U.S. television households, just under the FCC’s cap. The reinstatement of the “UHF discount” -- which 21st Century Fox has fought for in court -- will give the company more flexibility to purchase additional stations, increasing Murdoch’s grip on the media landscape. That will have a real impact for viewers, as Fox’s broadcast stations often adopt the same conservative talking points and story selection as Fox News. As Variety noted, Sinclair is interested in purchasing television stations owned by Tribune Media. But such a deal would “would hinge on existing regulations being relaxed” because Sinclair is near the FCC ownership cap, according to Reuters. Trump’s FCC is acting to put the control of the media in the hands of ever-fewer corporate giants. And Pai is just getting started.